NEPTUNE – For GNJ, another reason to rejoice has arrived on the heels of May’s Annual Conference session. The General Board of Higher Education and Ministry (GBHEM) awarded GNJ with a $197,620 grant to cultivate young people for ministry. 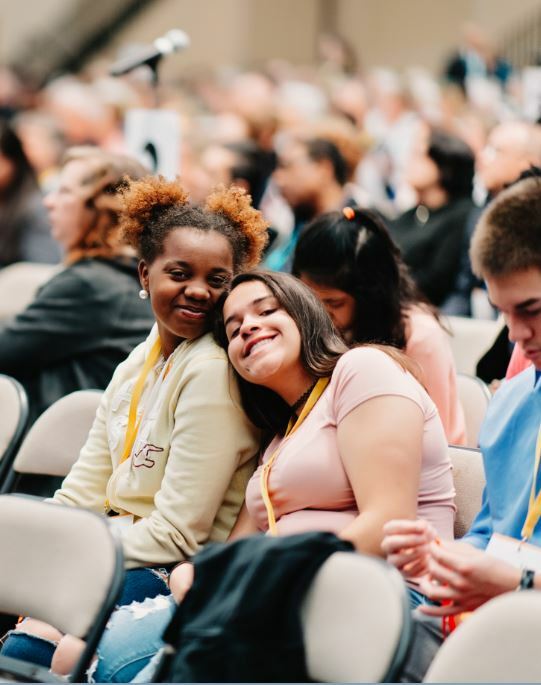 The Young Clergy Initiative administered through the agency seeks to increase the number of young clergy in the United Methodist Church by helping youth and young adults discern what vocation God may be calling them into. The spring, Drew Dyson, Raritan Valley District Superintendent, and Trey Wince, GNJ Director of New Disciples, submitted a grant application to the initiative through the GBHEM. Funds will provide high school summer internships, college and year-long seminary residencies, as well as program funding for training initiatives. The GBHEM Staff Team and Board of Director’s Selection Team reviewed the application and thought it was a good match for funding support. The Young Clergy Initiative is another first for GNJ and opens a new door of opportunity to boost Next Generation enterprises that were passed at Annual Conference. The grant enables GNJ to strategically link high school students with summer internships, college students with part-time youth leader positions, seminary students with multiyear co-pastoring positions through the Mosaic Ministries program, and seminary graduates with full-time associate pastoral apprenticeships at some of GNJ’s leading, most vital churches. The grant supports a strategic and specific initiative committed to encourage, recruit and train Christian leaders from ages 16-30. Rather than allow students to fall through the cracks as they transition from youth to college GNJ is building a system that strategically encourages students to discern their vocational future throughout their teens and twenties. The goal is to provide ample opportunity for young people to “try on” these vocational hopes in significant leadership roles at a much younger age than what’s typically available. With a commitment to intercultural competency, leaders recruit diverse young leaders that reflect the region. The process of identifying key, healthy churches that would benefit from and invest in the leadership of young people in various stages of development has already begun. “We look forward to working with Drew and Trey on the grant and how it can further the GNJ mission and benefit all of GNJ,” said Bishop John Schol, who expressed gratitude for their innovative and entrepreneurial spirits.